KUALA LUMPUR, Malaysia — An official says two Chinese sailors have been rescued more than 50 hours after their sand dredger capsized off Malaysia's southern coast. Three more bodies were also discovered, leaving nine others still missing. 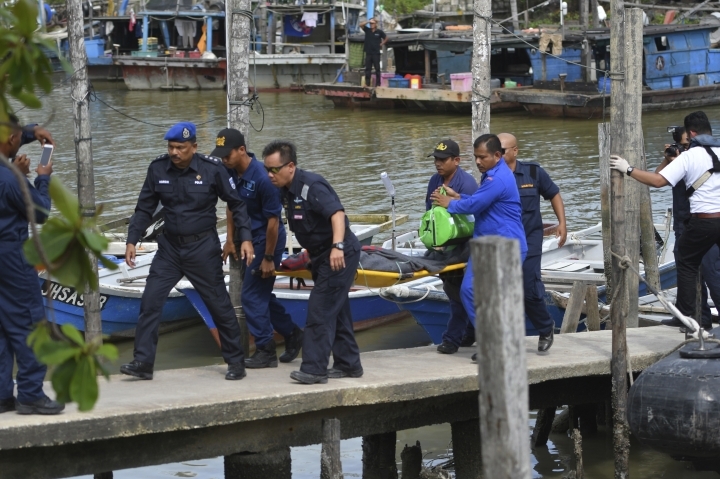 Coast guard official Sanifah Yusof says divers found the two sailors in the ship's engine room on Friday, apparently trapped in an air bubble that had kept them alive after the vessel overturned on Wednesday. Sanifah says rescuers also discovered a body floating near the vessel and two more, including a woman inside the ship, on Saturday. He says this brought the death toll to four and left nine others, including a Malaysian and an Indonesian, unaccounted for. Sanifah say rescue efforts have intensified.